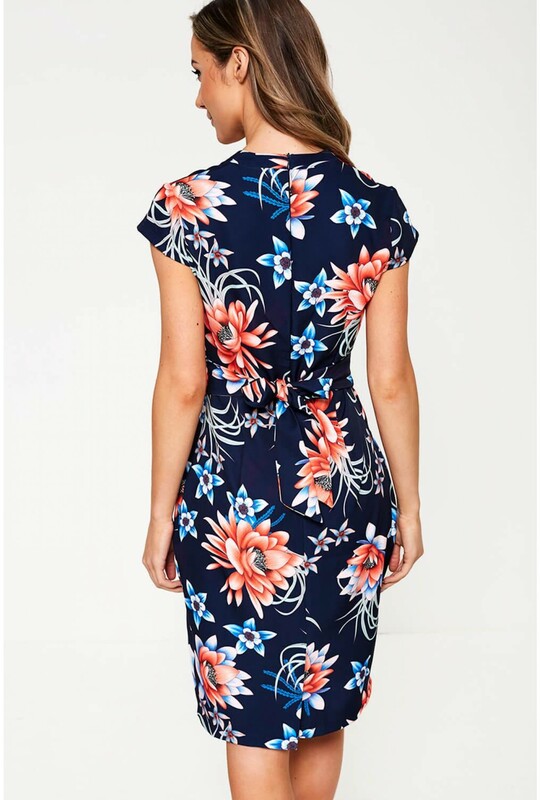 Simple yet striking this navy floral print dress is a timeless piece for wardrobe. 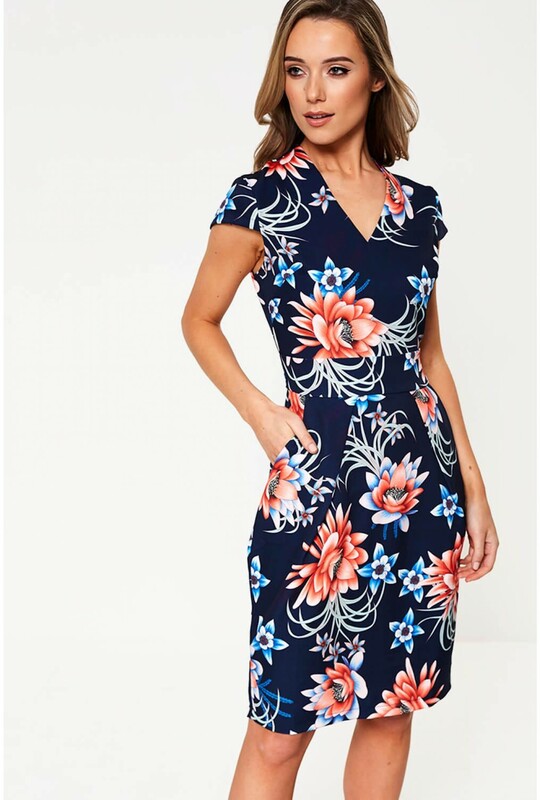 Featuring cap sleeves, V neck and tie-waist for added definition. 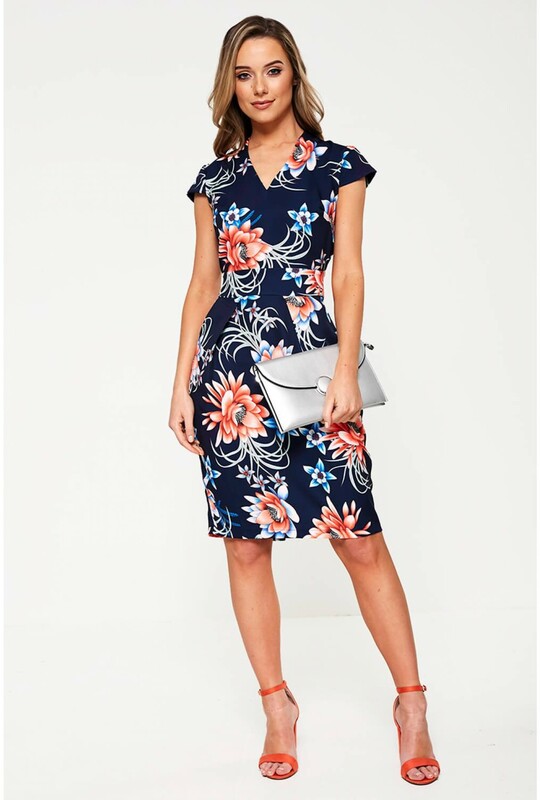 Team with heeled sandals and a clutch bag for instant style credit.